Workshops have started so here it is! As usual where an LM cover has been used I’ve linked to the closest version as best I can. Track 2 and 3 on the links below don’t start until some time in so scroll across. Can’t quite locate track 6’s remix of Where Have You Been but it’s on Skitzmix 41 for those interested. And for 2 releases in a row no luck finding the muay thai on youtube – but it’s good! All in all this release is AWESOME! One of the absolute best. For more on this release see my BODYCOMBAT 55 filming post. The rest of the programs are coming please be patient I’m trying my best! 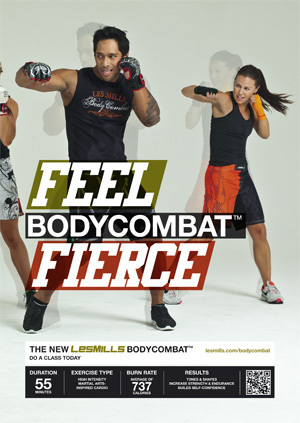 No changes to the longest or shortest possible BODYCOMBAT mixes with BODYCOMBAT 54 – though it does have a couple biggies in there! Track 2 comes in at a whopping 6:29 minutes (and it’s a HARD six and half minutes too!) and to my mind is the peak of the class difficulty wise. The other working tracks all sit in the 5 – 5.5 minute mark, until track 8 which is a pretty decent 7:13. All up BODYCOMBAT 54 totals 55.8 minutes so a pretty good length. For completions sake I’ve put the existing longest and shortest mixes below – as always take note of this when you start mixing! Hey guys the BC54 tracklist is officially out! Yay now I can start telling you all about this release. As always where an LM cover has been used I’ve tried my best to link to the original (no luck with the muay thai but trust me it’s freaken awesome – if you do find this track or track 5 online let me know). Cheers Benny for the correct link for 1b! 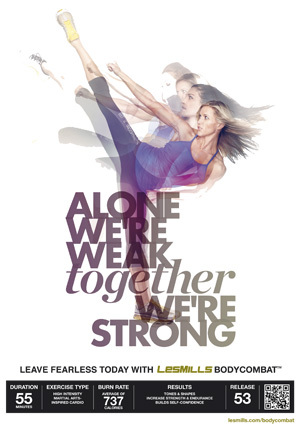 For more info on BODYCOMBAT 54 see my filming post. Take a look at the tracks below and let me know your thoughts.Enjoy! 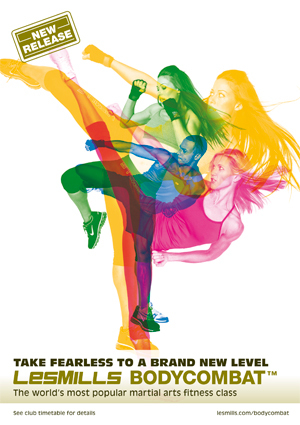 No changes to the lists below with BODYCOMBAT 52 this quarter guys. There are a couple big tracks in there though – they just don’t quite make the longest lists. The muay thai in BC52 is a whopping 7:27 (and it’s a HARD 7 and a half minutes too!) – and track 8 is a biggie too at 7:38. To offset that tracks 2 and 3 are short however at 4:33 and 4:38 respectively. All up BC52 totals 56.2 minutes in length which is perfect in my opinion (when mixing I always aim for about 56-58 minutes in my playlists). 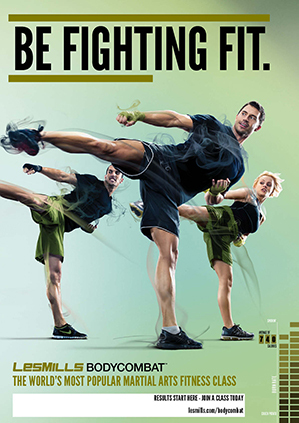 Just for completions sake here are the current longest and shortest possible BODYCOMBAT playlists. Guys sorry for the delay on these I’ve been on my honeymoon! (can’t get a much better excuse than that right?!) Full tracklists for all programs are in the post directly below. We flew in from our honeymoon 5am Friday morning and went straight to Les Mills for the GFX event at 6am – man that was epic! I’ll write a full blog post about that in the coming days – including all the goss on BODYCOMBAT 53, BODYPUMP 83 and BODYATTACK 78! In the meantime BC52 is below (for more info on the release itself see my BODYCOMBAT 52 filming post). As always when I’ve not been able to find the exact track on youtube I’ve linked to the closest one (remix for track 5 is waaay faster than the one linked fixed – cheers Andreas!). Enjoy!